By James B. Nelson on Friday, March 4th, 2016 at 9:18 a.m.
Milwaukee alderman and mayoral candidate Bob Donovan posted this picture of a Milwaukee home on his campaign Facebook page, calling it "the true picture of ‘Milwaukee’s Renaissance’ after 12 years of Mayor Tom Barrett's leadership." Was he right? What attracted the most interest (and clicks) from PolitiFact Wisconsin readers in February? Well, it ranged from an item with great local interest (a dilapidated house in Milwaukee) to one of great national interest (an old Obamacare item). And it included one that had a little bit of both: Cable TV host John Oliver talking about the hours of operation for a DMV office in Sauk City. 1. Oliver claimed that in Sauk City "the ID office" that provides identification for voting "is only open on the fifth Wednesday of every month" -- a total of four days in 2016. We rated the statement Mostly True. The office is only open on those four days in 2016. However, that’s not the only place where Sauk City residents can go to get a state ID that they can use for voting. Several other locations within a relatively short drive of are open much more often. 2. 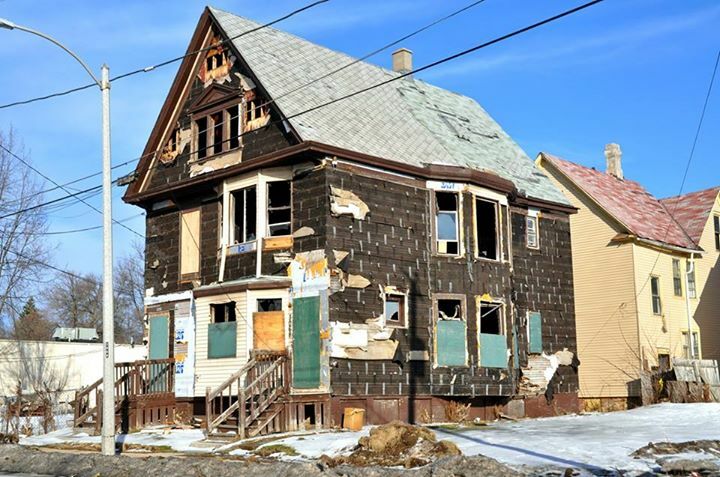 Milwaukee mayoral candidate Bob Donovan posted a photo of a dilapidated house on Facebook with a caption that claimed: "This is the true picture of ‘Milwaukee’s Renaissance’ after 12 years of Mayor Tom Barrett's leadership." But the house had been used repeatedly for training, including controlled fires, by the city’s Fire Department. We rated Donovan’s claim, well, Pants on Fire. 3. Author A.J. Jacobs claimed President John F. Kennedy released a star Green Bay Packer from military reserve duty so that he could play in the 1961 NFL Championship Game. In a pre-Super Bowl interview on National Public Radio, Jacobs said Kennedy answered Packers coach Vince Lombardi’s call to release Paul Hornung from military reserve duty so the star halfback could play in the game, which the Packers won. Indeed, Kennedy did intervene. We rated the statement True. 4. U.S. Rep. Reid Ribble, a Green Bay area Republican, claimed GOP presidential candidate Donald Trump "wants to replace" Obamacare "with a single-payer system." We rated Ribble’s claim Half True. 5. Appeals Court Judge JoAnne Kloppenburg said her rival in the primary race for state Supreme Court, Milwaukee County Circuit Judge Joe Donald, twice "supported" incumbent Justice Rebecca Bradley. We rated the claim Mostly True. Donald had endorsed Bradley in a 2013 election for the Milwaukee County Circuit Court. And Donald was listed as a reference for Bradley for a vacant seat on the state appeals court in 2015 -- though he also recommended that the governor choose a different applicant for the post. Donald ultimately lost the primary. Kloppenburg and Bradley will face off in the April 5, 2016 general election.